This place is gorgeous. Tim and I drove past it on our mopeds in Bali, of course staying here is a little out of our unemployed budget. We have some good family friends who stayed here last fall….I can only imagine how spectacular it must have been! 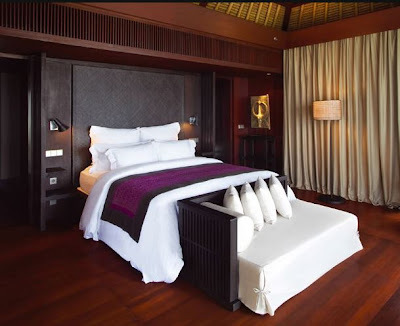 Designed by the famous Antonio Citterio, the resort blends Balinese style with contemporary Italian design. 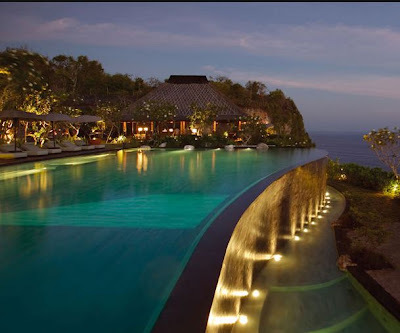 The hotel is set on a 150m high cliff overlooking the Indian Ocean. The private beach is accessed by an inclined elevator. This is the entrance to your private villa. 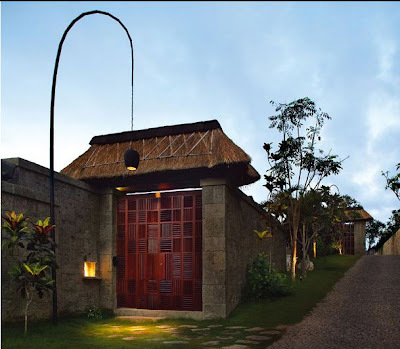 Each villa is designed using natural lava stone walls, thatch roofs and bronze lanterns. 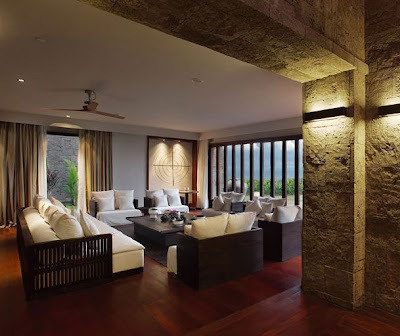 The entrance opens up to a Balinese courtyard and informal dining space. How gorgeous are those chairs? They are dressed to perfection! The open air living room pavilion is the perfect place to relax after you’ve had too much sun. 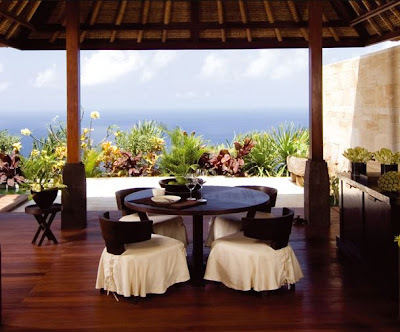 Each villa is decorated with Balinese antiques and artwork. For the boys, Bang and Olulfsen audio and video systems. 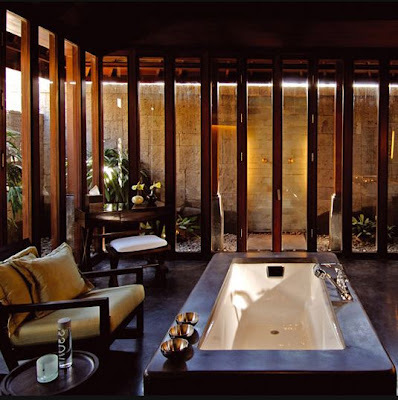 The bathroom has floor to ceiling glass overlooking the private courtyard. You can see the ocean while you’re lying in bed. 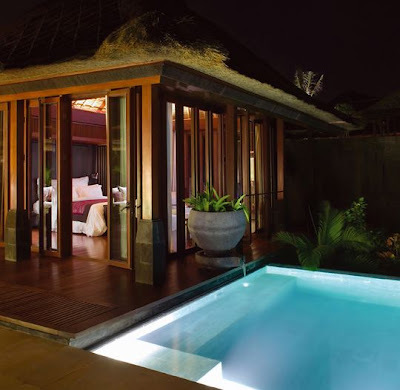 Private sun deck and plunge pool? Check! Absolutely breathtaking! I have reason to go back to Bali!